As the last hours of astronomical Spring wind down, the first summer fruits of the season were ready for harvesting in my garden today. 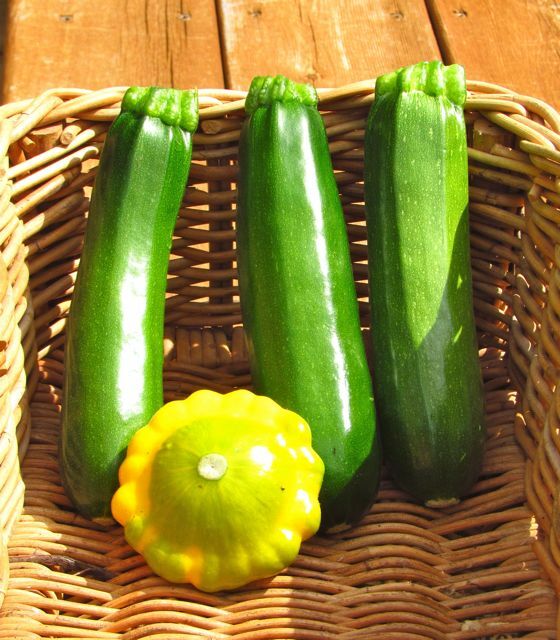 In the basket are a Y-Star patty-pan squash, 2 Noche zucchinis, and 1 Spineless Perfection zucchini. The Noches are the darker fruits on the left. I predict that an equal number (or more!) will be ready tomorrow. 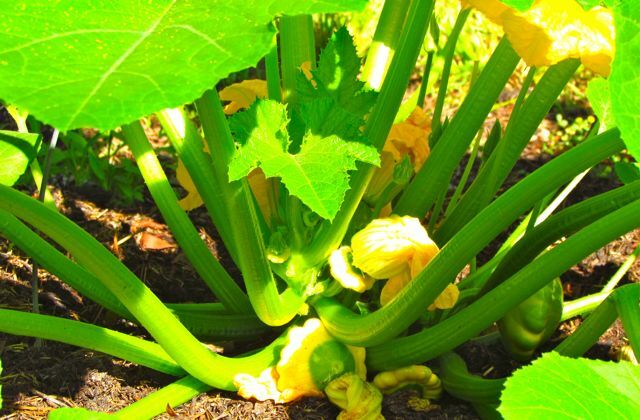 Yup, it’s squash-for-breakfast-lunch-and-dinner time! I see squash bread baking in my near future. 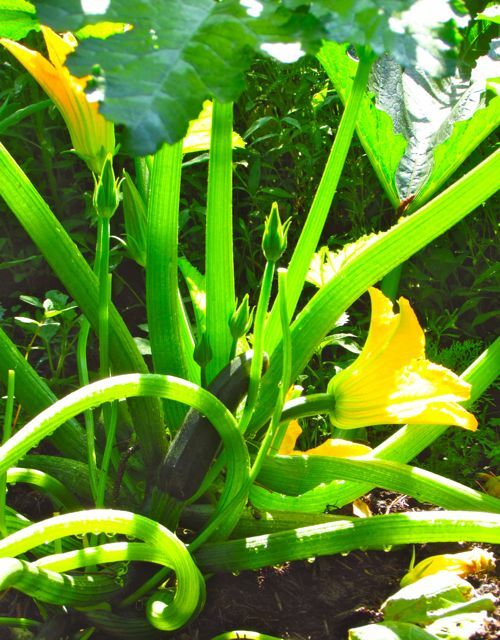 It’s easy to tell by the exuberant growth of the squashes, the zillions of skinny beanlets dangling from the Fortex pole bean vines, the clusters of green globes beneath wide tomato leaves, and the tiny peppers pushing out from sturdy Italian pepper plants that the Summer Solstice is nearly here. 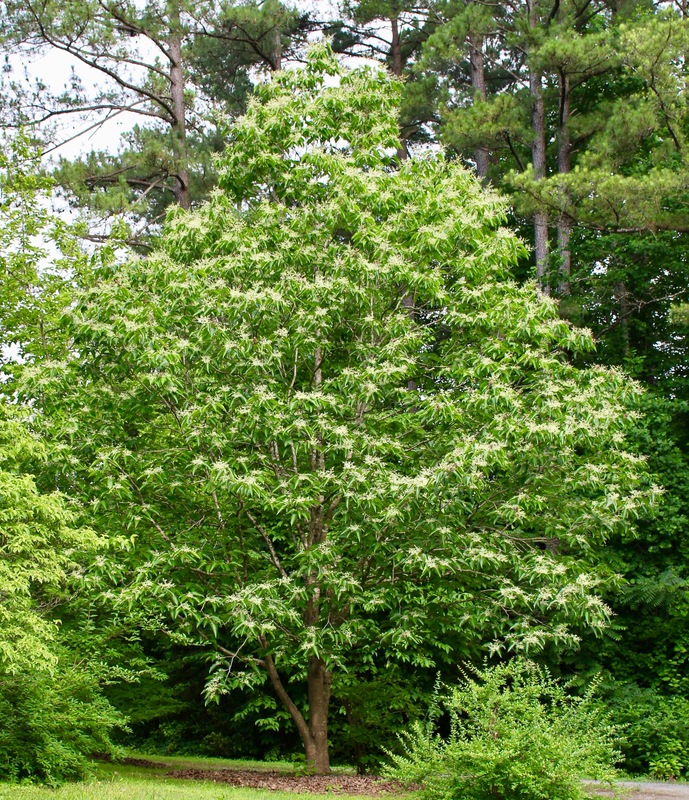 In my garden, it will arrive at 1:04 a.m. EDT this Friday morning, June 21. I didn’t really need a calendar to tell me Summer was knocking at the door. 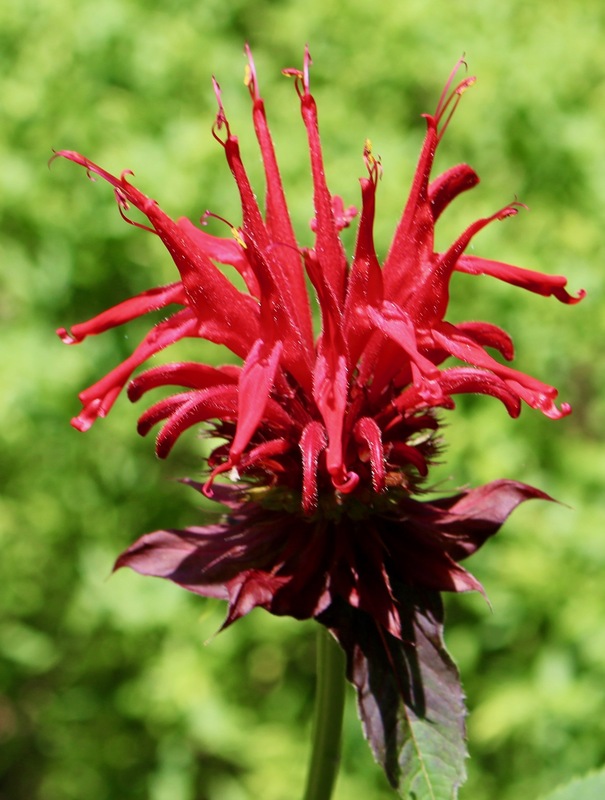 The plants and animals that share my five acres of green chaos have been reminding me for weeks now. As more evidence, I offer two more participants in the ongoing daylily parade. 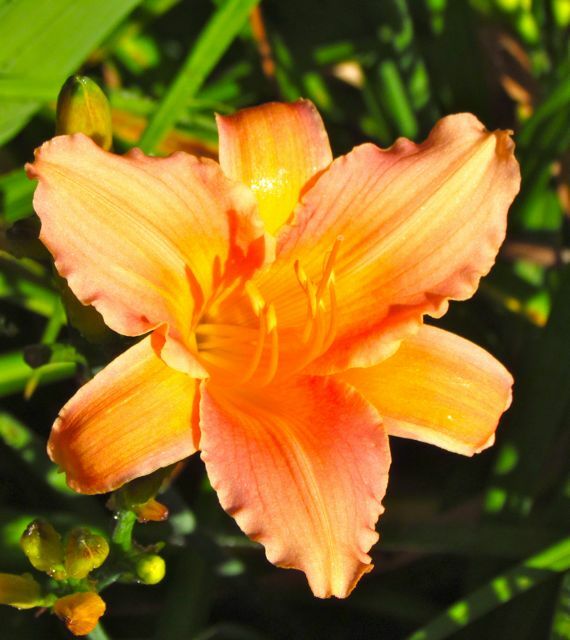 Daylily ‘Lady Inara’ reminds me of warm summer sunsets at the beach. 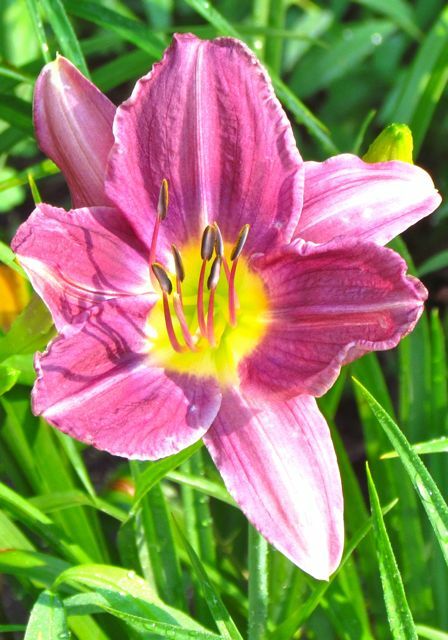 Daylily “Prairie Blue Eyes’ isn’t really blue, but she’s a looker for sure.